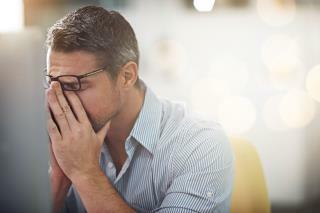 (Newser) – Scientists have long cautioned that stress is bad for the heart, and a new study provides insight into precisely why. In the Lancet, researchers lay out a chain of events: When people feel stress, the amygdala area of the brain—it processes emotions such as fear and danger—fires up with extra activity to help them cope. The problem is that the amygdala sends a signal to bone marrow to generate more white blood cells, and those blood cells in turn cause arteries to become inflamed, explains the BBC. That inflammation can then result in heart attacks and strokes. Researchers based their findings on two studies, the larger of which tracked nearly 300 people for about four years. The pattern seemed clear: Those with higher amygdala activity were more likely to develop heart disease of some kind. Yeah! Me & others had STRESS since JAN 2009! & that STRESS will be Relieved on JAN 20,2017! ( to be free from anxiety, fear, pain, etc.) The END of an ERROR! Cause... Soon to be Ex-Prez Obama who is realizing how unhappy his is about Becoming completely irrelevant in the Next 8 DAYS! There ya go backALL! & Have a HAPPY NEW YEAR with.. PREZ TRUMP for 4 Years+ <-I STILL like the sound of that! Der Gropenfurher is gonna kill me yet.